Just thought I'd update you all on that first. Also, since his birth I'm sure is closer than ever, I just wanted to fill you in on some plans I have for my blog after he's here. I've gotten lots of requests on my skincare regimen--I plan to do some posts on that. I'm also getting more into make-up, and plan to blog on that and possibly give some reviews. I've been blessed to be considered a "natural beauty" (though, we all are) most of my life and never really had to master make-up application, but there comes a time (and age) in every girl's life where bringing in a few "reinforcements" help to give a better, more pulled together look. So I will be sharing that journey with you. Lastly, I'm going to chronicle me getting back into shape after baby is born. I've gotten quite a few fitness questions, and questions asking how do I stay in shape, etc. I plan to just give a real life view of me getting back into shape, complete with my exercise regimen, what I eat (including recipes again), etc. I plan to make this a weekly thing where I update with my weight, weightloss for the week, complete with pics. So all of that, including still doing some outfit and hair posts--I'm planning to get this blog active again! I'm going to be doing more videos too, I think. I'm going to try really hard to get past my video camera awkwardness! So bear with me. I also have a few other things up my sleeve that I will share at a later time. So stay tuned! Ha! I'm first. I can't wait to see this workout regimen of yours! I wish you had your baby 6 mos ago with me so I could've been doing it....unless it involves running. j/k. Some cool ideas I was given re: my toddler was to do finger-painting, build a tent at home, go to the grocery store just to point food and vegetables out and visit a pet store. I also bought a toddler basketball that he absolutely LOVES. That'll come in handy when your 2nd gets here. Sounds good I can't wait.Your hair looks great. Wishing you a safe delivery. I will be watching. I need post workout regimines and plan to get back in shape. I am looking toward reinvinting myself and being the best I have ever been after baby. Goodluck with the birth, i'm sure your a pro now. 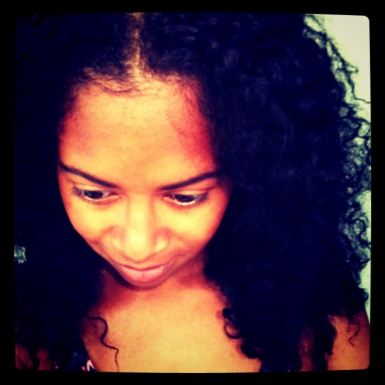 your hair looks lovely and looking forward to all you have planned for the blog! Good Luck with your delivery. Your hair looks great as always and I can't wait to see the new things you have in store for your blog! 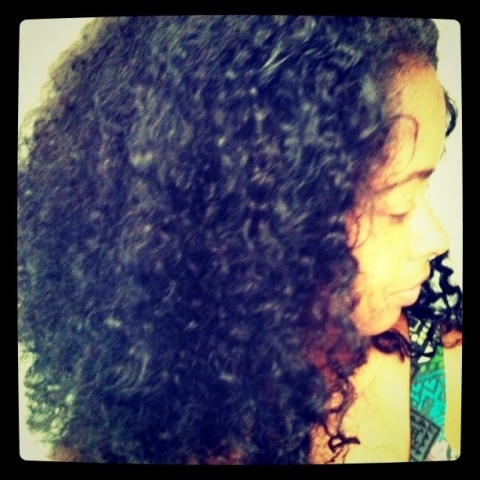 I wish my braid-outs looked this nice! Your hair is so gorgeous! Great Nik!!! Lovely hair post and cant wait for your future post. I love the braidout effect on your hair, how long do you leave the braids on your hair for? Your hair is gorgeous! By the way thanks for dropping by my blog and for following. Following you back! do you plan on doing any youtube videos? Yes, I do. I'm getting a new camera. Going to start doing more posts/videos REALLY soon!